A Light Emitting Diode (LED) is a two lead semi-conductor light source. There are hundreds of different types of LED bulbs available from a large amount of different light bulb manufacturers. 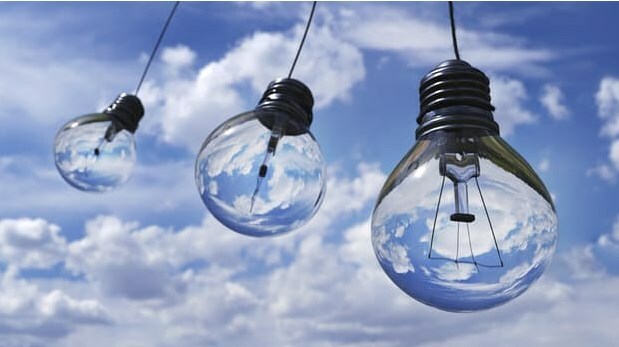 Although it has taken a period for the price of LED bulbs to reach the point where they can be mass produced they are now at the point where it is worth paying the small amount extra over less energy efficient traditional light bulbs or CFL lamps (Compact fluorescent or low energy). The main advantages of LED bulbs is they use less electricity because they are more energy efficient than other technologies and their life span is longer. Not only do they represent greater value for money over a non LED bulb that lasts a shorter length of time on average, but also there is a saving in maintenance costs as lamps are changed less frequently. When looking for what LED light bulb to buy it is important to try to think in Lumens rather than watts. 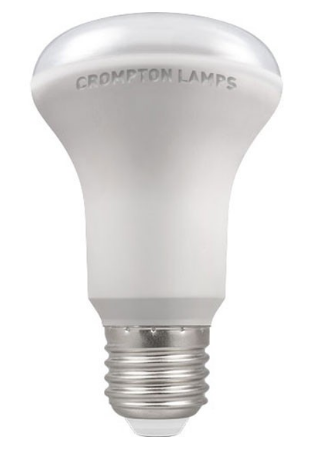 The traditional light bulb shape, suitable throughout the home, dimmable or non dimmable. 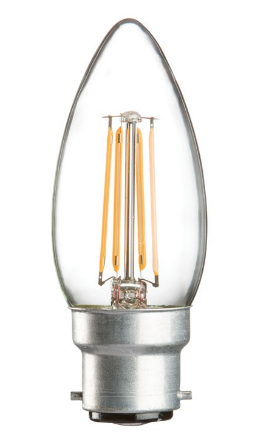 Pearl (frosted) or clear with an LED filament, and white or antique bronze effect. The colour of the light output itself ranges from Warm white to cool white. 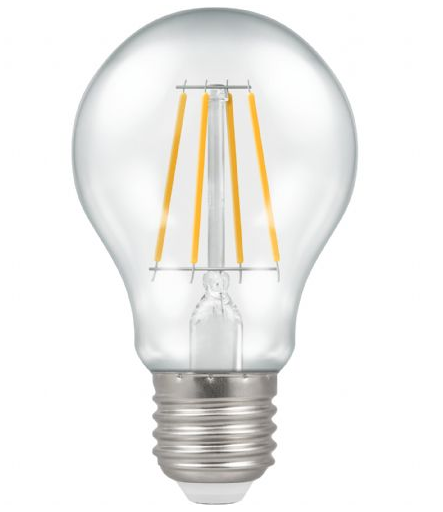 LED filament technology and is almost identical in appearance to a classic incandescent light bulb. Non-dimmable. Found in many decorative light fittings. Available in 4 bases, BC, ES, SBC or SES to suit most applications. The colour of the light output is Warm white to cool white. 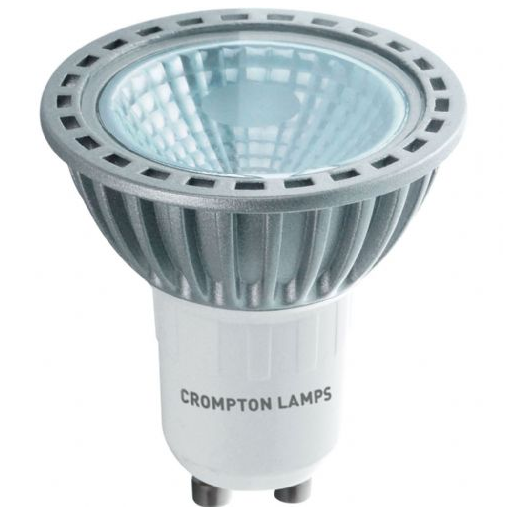 The colour of the light output is Warm white, cool white or daylight. The most common types are the GLS and Candle bulbs shown above. These are what is normally found in ceiling pendant lights, floor lights and desk lights. 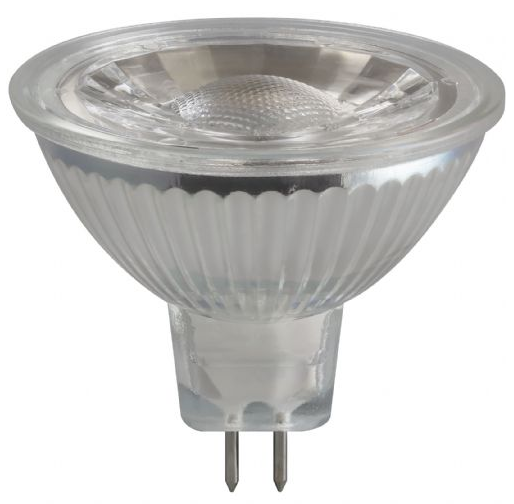 If there are downlighters in the ceiling then the most common will be either MR16 low voltage reflectors or GU10 240v reflectors, also shown above. Normally in the home, outside of kitchens and bathrooms it is better to go for ‘Warm White’. This is expressed in ‘Kelvin’ between 2800 and 3300k. Have a look at this article on Lightbulb colour for more information on colour. There can be a whole host of different LED bulbs found in the kitchens and bathrooms. Recessed downlighters are common, normally the bulb is MR16 low voltage reflectors or GU10 240v reflectors. Then for task lighting and accent lighting under pelmet lights and plinth lights are used. 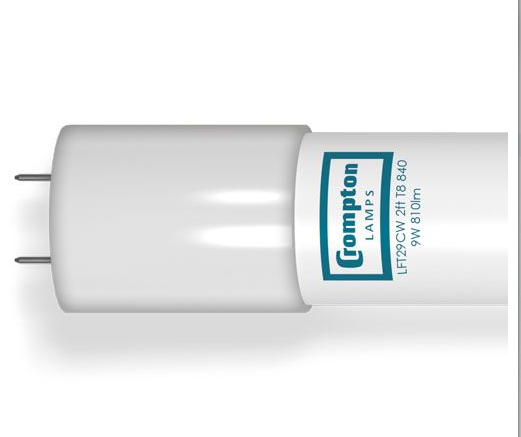 These can be tubular bulbs or LED strips which are self-adhesive and not renewable. One thing to note about kitchens and bathrooms is that it is the choice of the home owner to use warm white light (expressed in ‘Kelvin’ between 2800 and 3300k) to create a warm, calming soothing light or a cool white light between 3500k and 5000k to create a crisp, clean, bright light. In both rooms. Have a look at this article on Lightbulb colour for more information on colour.